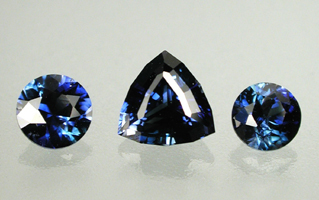 Until recently, high-quality transparent sapphire had never been found in Canada. In 2002, gemmy blue sapphire was discovered in the Canadian Arctic, near the hamlet of Kimmirut on the south coast of Baffin Island, Nunavut. This is certainly one of the most exciting gem finds ever made in Canada. 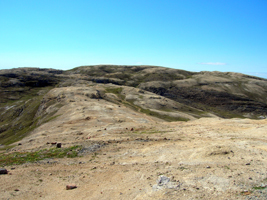 Brothers Seemeega and Nowdluk Aqpik, prospectors from Kimmirut, made the discovery on a hilltop southwest of their town. 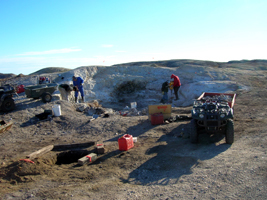 In November 2003 True North Gems Inc. acquired the mining rights and the following year True North conducted its first season of sapphire exploration at the site. 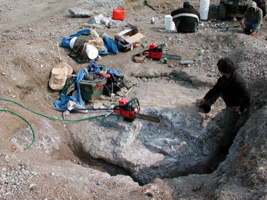 I was very fortunate to be included as a geologist/gemmologist on True North's initial exploration team in 2004. I've also helped out to a lesser extent on True North's Baffin sapphire project in subsequent seasons. 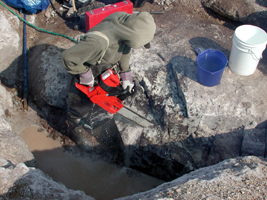 In 2004, True North removed a 4.29-tonne bulk sample where sapphire rough and crystals up to 7.7 × 2.1 cm were recovered. Since then, True North has continued exploration with additional bulk sampling, prospecting, geological mapping and 1700 metres of diamond drilling. 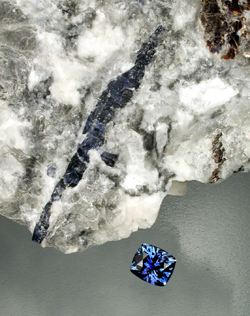 Baffin Island sapphire occurs within lenses of calc-silicate minerals within a marble unit in a series of metasedimentary rocks nearly 2 billion years old (Gertzbein 2005). At the Beluga pit, sapphire typically occurs as elongate barrel-shaped crystals tapered at each end; they range in size up to 7.7 × 2.1 cm, although most are smaller. The majority of crystals are colour-zoned, displaying concentric and irregular variations in colour from colourless through shades of dark to light blue. Light yellow sapphires have been found nearby. I have written several articles on gemstones from Canada. 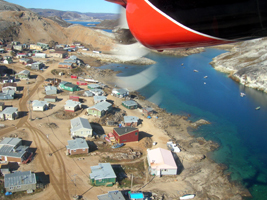 Some have included sections on the Baffin Island sapphire occurrence. One of these articles appears in a magazine called "InColor" published by "ICI" (International Colored Gemstone Association). 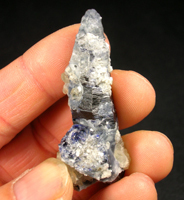 Another article I wrote that has a section covering the Baffin Island sapphires was published in the Jan/Feb 2010 issue of "Rocks & Minerals" magazine. Baffin Island, Nunavut (July, 2004). 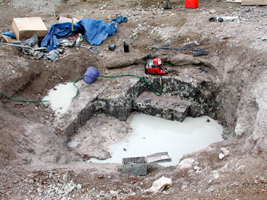 bulk sample at Beluga Pit (July, 2004). Baffin Island, Nunavut (September, 2005).